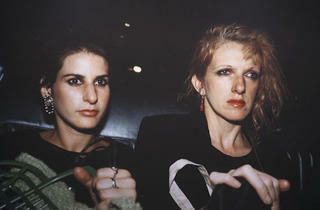 Photograph: Courtesy of Catherine Edelman Gallery Nan Goldin; J. and C.Z. 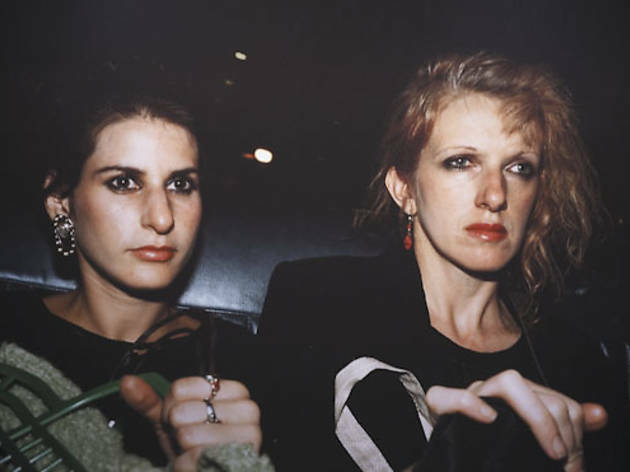 in the Car, New York City; 1984. “I don’t really live with regrets,” Catherine Edelman tells me by phone from Houston, where she was attending the Texas Contemporary art fair last month. Edelman, 50, could have been talking about the way she founded her River North gallery in 1987. During her last semester studying photography in SAIC’s M.F.A. program, she had to undergo surgery for a disease that would eventually leave her blind in one eye. As she lay in bed recuperating, Edelman recalls, she decided she could no longer pursue a career as an artist. To the New York native, who had grown up gallery hopping, starting a gallery seemed like the next best alternative. “My plan was to open up a contemporary photography gallery and then, in five years, shut it and go into museum work,” Edelman says. On Friday 2, Catherine Edelman Gallery celebrates its 25th anniversary with the exhibition “What I Was Thinking.” The salon-style show crams more than 100 photographs by 75 artists from the gallery’s history into the same space at 300 West Superior Street that Edelman has occupied for 18 years, following a move from a smaller suite upstairs. While the dealer describes herself as “older and quieter now,” she still tackles hot-button topics. She curated the 2003 exhibition “Killer Shots” in response to the U.S. invasion of Iraq. In fall 2011, the gallery presented Kelli Connell’s series “Double Life,” the Chicago artist’s digitally altered portraits of what appears to be a lesbian relationship between identical women. Connell credits Edelman with finding a publisher for her monograph and selling two photographs from “Double Life” to the Metropolitan Museum of Art. She says she admires the dealer’s “community outreach,” reflected in Edelman’s online-only gallery, the Chicago Project. (Its artists include “Shifting Domain” photographer Nate Mathews, see Review.) This initiative exposes local artists to a wider audience without requiring the gallery to cover insurance and other costs of conventional shows. “What I Was Thinking” opens Friday 2.